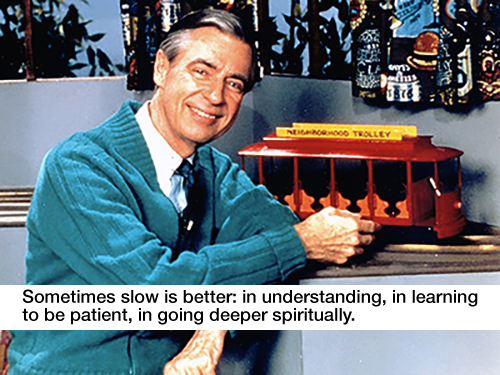 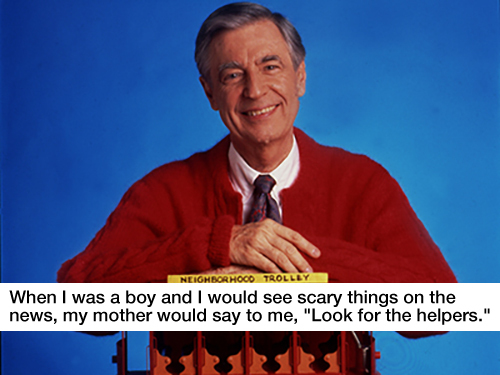 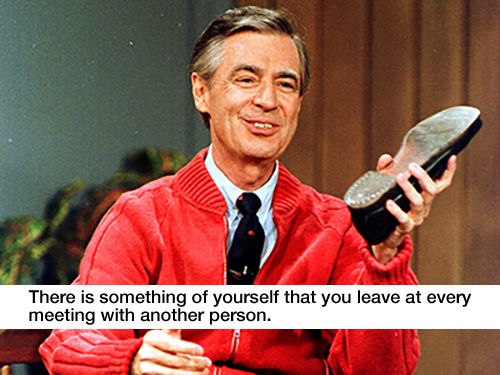 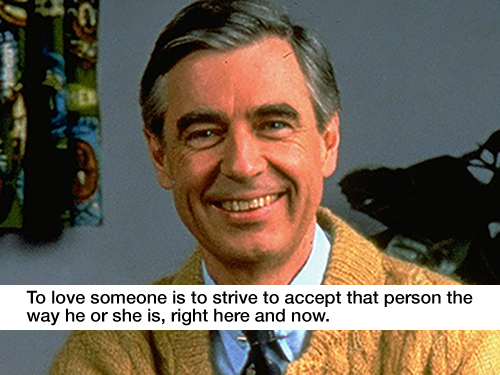 Mister Rogers certainly ranks amongst America’s most-quotable television icons. 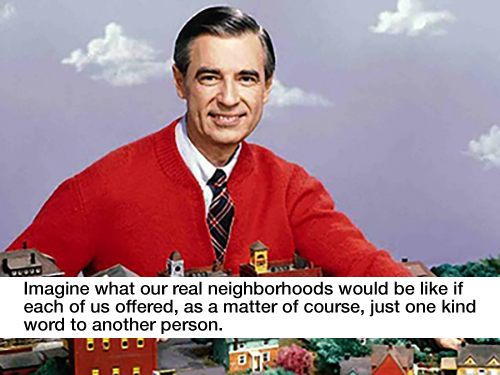 “Mister Rogers’ Neighborhood” was carefully-scripted and thoroughly-rehearsed based on meticulous research. 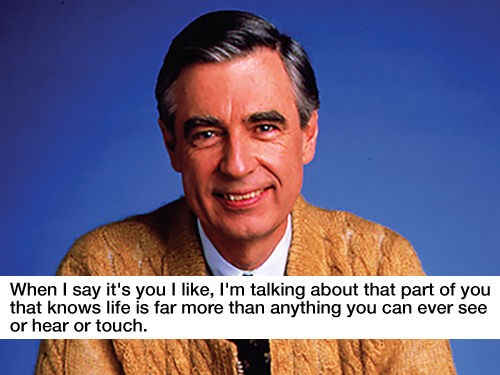 And by all accounts (including my own), he was equally engaging, inspiring and memorable in person. 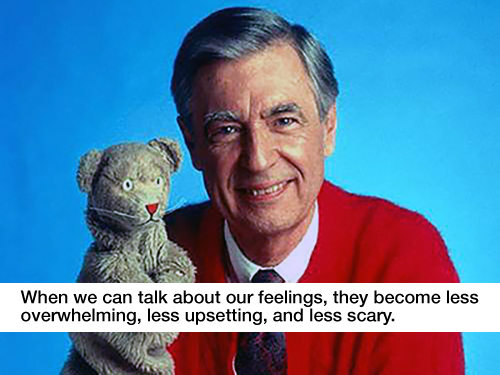 So when, in our film, “Mister Rogers & Me,” my brother and I set out to document how he changed my life, it was clear that quotes (in addition to extensive source material and interviews) would be critical. 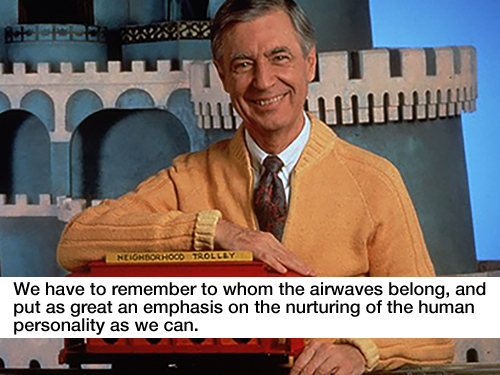 We ended up using ten as chapters, if you will, marking the major themes as articulated by Tim Russert, Susan Stamberg, Linda Ellerbee and more. 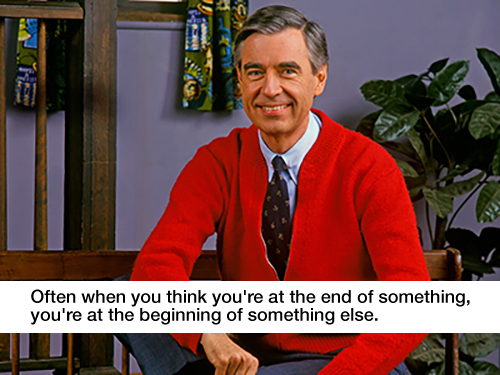 As we wrap up 2014 (a great year in which our film was seen by as many viewers as it had been in all the years since its 2010 premiere, and garnered an America Public Television Program Excellence Award), and head into 2015, then, no better time to share these ten inspirational quotes. 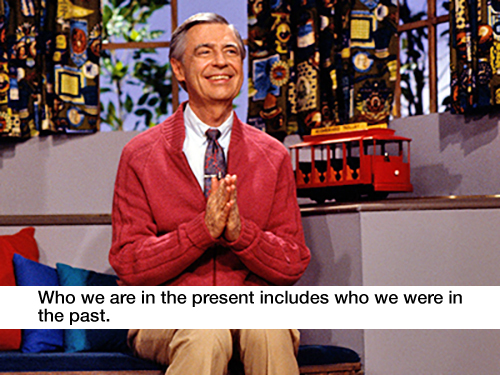 “Mister Rogers & Me” is available on DVD, iTunes, and your local PBS station.